Hello all! Easter is right around the corner and its time to start decorating. I love to change things up a bit in our kitchen, at least set up a new centerpiece or plan the table settings ahead. 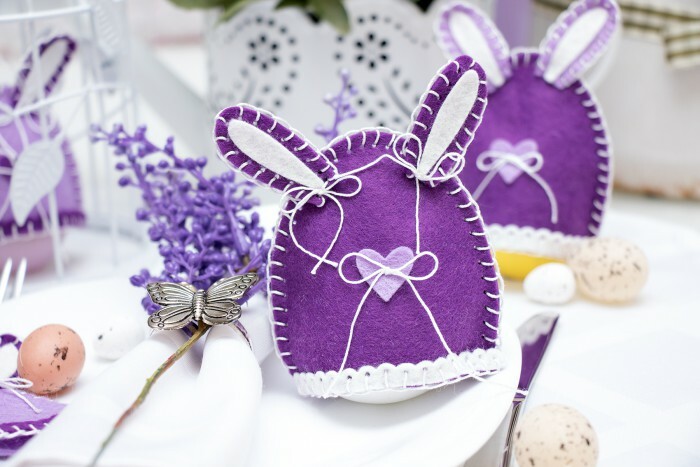 Today I’m using Simon Says Stamp Plush dies to create some fun and very easy to make Felt Easter Egg Cozies. Join me to learn how you can make these yourself! I’ve filmed a video tutorial to show you in detail how these are made, you can watch it below or on my Youtube channel. If you like it, I would appreciate you giving it a thumbs up and sharing. You can also pin this video to Pinterest. Thank you! 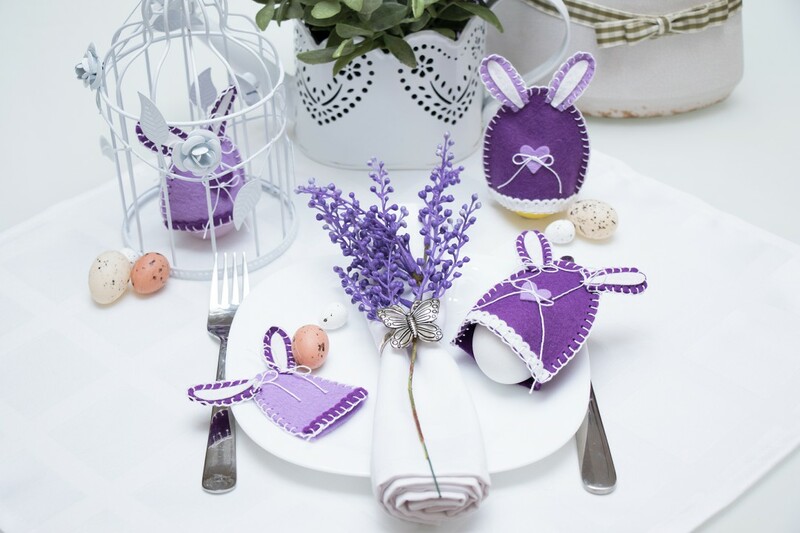 All you need to make these egg cozies is some felt, a few dies and some thread. 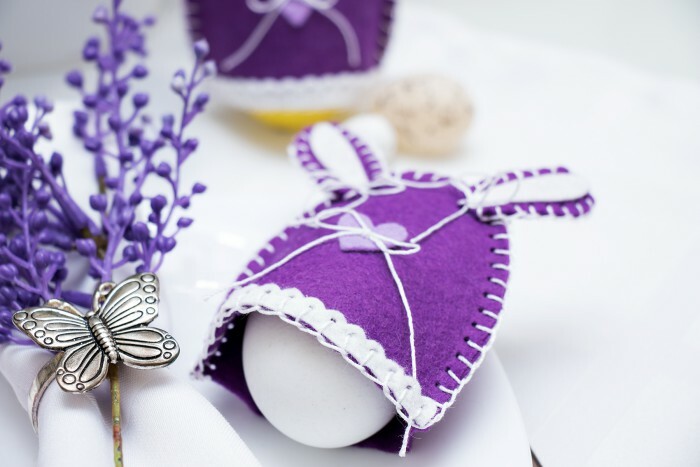 By using the larger Easter Egg die you can make a cozy for a large or medium size egg. There’s also a smaller Button Egg die, unfortunately its too small to be used as an egg cozy, yet still very cute and perfect for plush decorations. I started by die cutting 2 egg halfs out of felt, there’s no need to cut an entire egg out, a half will do for a cozy. I also die cut Easter Bunny Ears using dies from the Plush Party Bunny Set, an Easter Basket handle from the Plush Springtime Basket set (I cut it apart and created a scalloped border) and a heart from Plush Button Egg set. 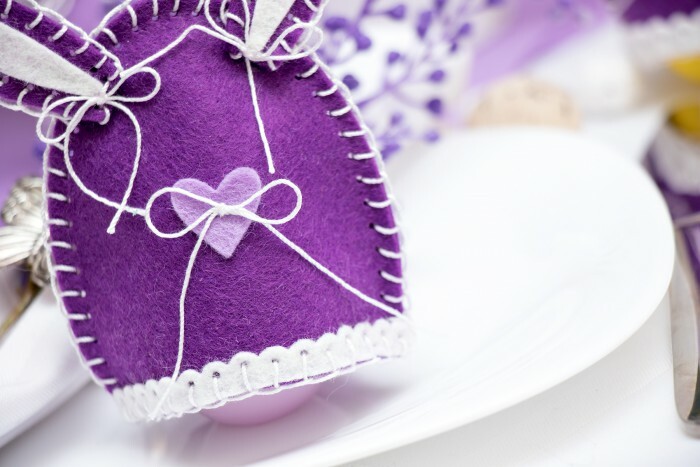 The egg inserts, scalloped border and the heart were all glued in place using glossy accents. I’m sure there is a glue designed specifically for felt out there, however I am mostly a paper crafter so I used what I had (and glossy accents seems to hold everything nicely). The rest was hand stitched using a simple blanket stitch. I used thick white thread for stitching these, I also used it to create bows on the ears and on the little heart. Bunny ears were stitched in place on some of my cozies and also adhered on the others. Either way is fine and holds well. If you arrived from the incredible Nichol Magouirk the next stop on the hop is amazing Laura Bassen. If you get lost or encounter a broken link, start at the beginning at Simon Says Stamp Blog. 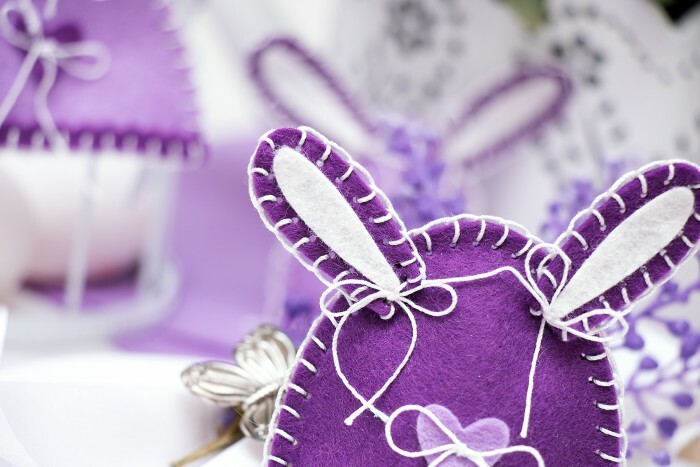 Leave a comment here telling me if you enjoy working with felt for your chance to win Simon Says Goody bag. You can increase your chance of winning by leaving a comment on every stop of the hop. The winners will be drawn this coming Monday, March 7. The winner is Annette Hindes, congratulations! Thank you everyone for your lovely comments. The “Spring Plush” release has a stamp set that was a collaboration with Neat & Tangled, lots of Plush dies, and even more beautiful felt! Made in Italy, It’s the most perfect felt for die cutting! The plush dies are great with felt, but also work beautifully on paper and some select thin fun foams. There are coordinating items in Simon Says Stamp store that work beautifully with felt. What a cute idea! Love the colors. These are adorable–looking forward to seeing the other post. 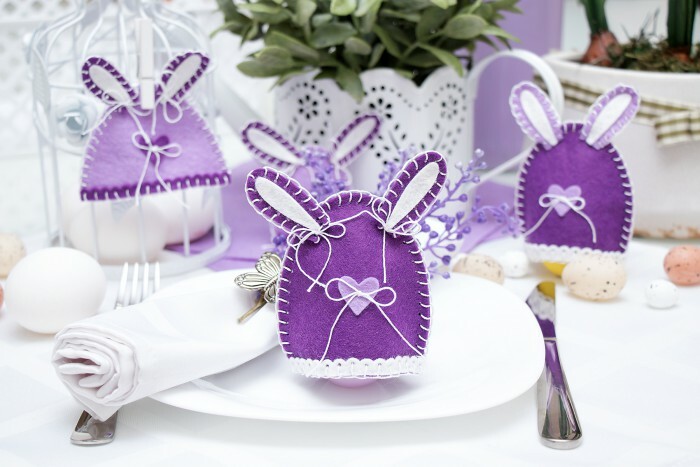 Such a creative and fun idea stretching your dies and perfect for Easter. Cute bunny ears. Beautiful! I love the purple. Felt is so much fun to work with! How cute! Love the colours too. This is such a cute idea! I would make them in every color. Oh wow! That is a very clever idea. They are cute! Wonderful idea. Thanks for sharing. So adorable. Haven’t tried any projects with felt – yet. You make it look so easy. I never worked with felt before. If I tried I. Sure I would love it. I love felt! There’s just so much that you can do with it! I just love these coozies, they’re so bright and cute! These are precious!! Love the little added bows. I have not worked with felt but sure would love to try? Love your project! Great idea!